Vast, never before seen environments. Blockbuster cinematic moments. 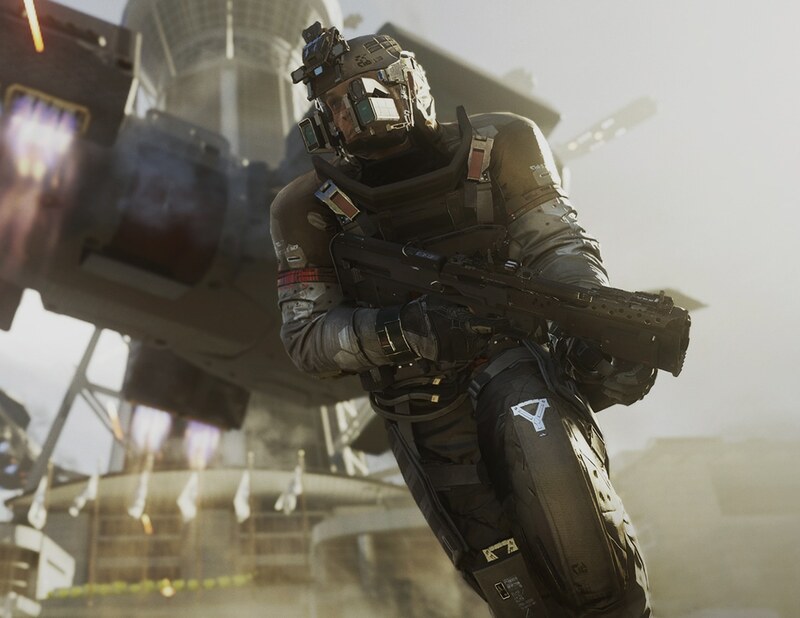 Infinite Warfare is a gripping portrayal of war that takes you back to the roots of the franchise. On November 4, Call of Duty: Infinite Warfare will place players on the front lines of a new war in a bold new setting. 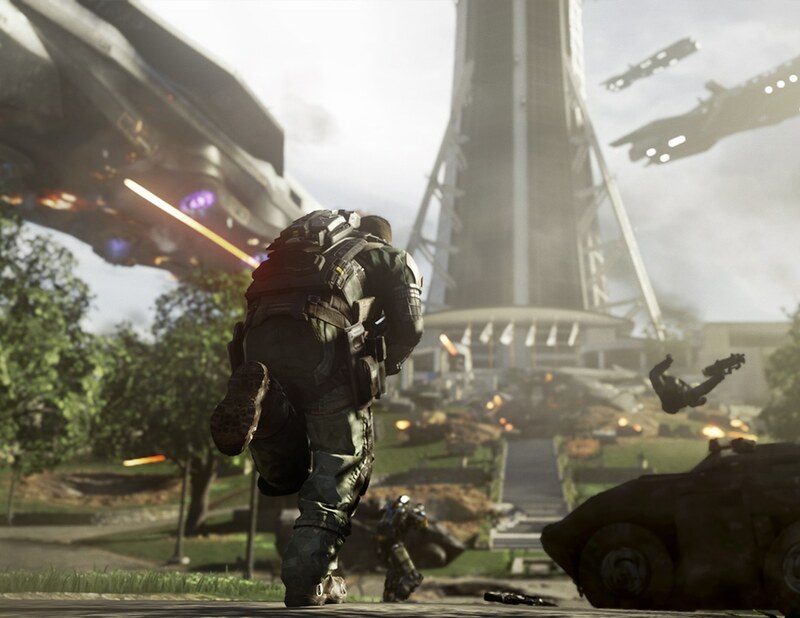 Returning to the series’ roots of massive-scale conflict between two warring factions, Call of Duty: Infinite Warfare will take players from battlegrounds on Earth to the distant reaches of our solar system. What’s Included in the Legacy and Digital Deluxe Editions? 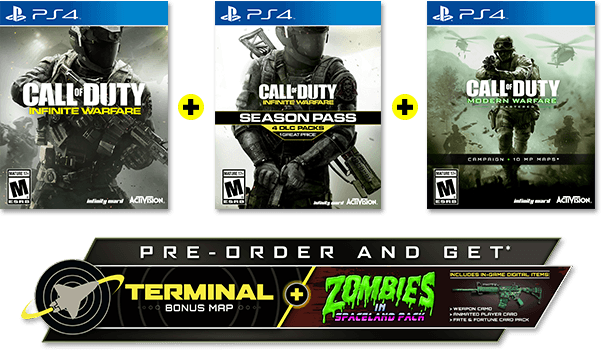 This year, select editions of Call of Duty: Infinite Warfare will include something that we’ve never offered before—a remaster of one of the most acclaimed games in the series. That’s right, Call of Duty: Modern Warfare returns this year as Call of Duty: Modern Warfare Remastered*, which will be made available through Call of Duty: Infinite Warfare Legacy and Digital Deluxe Editions. 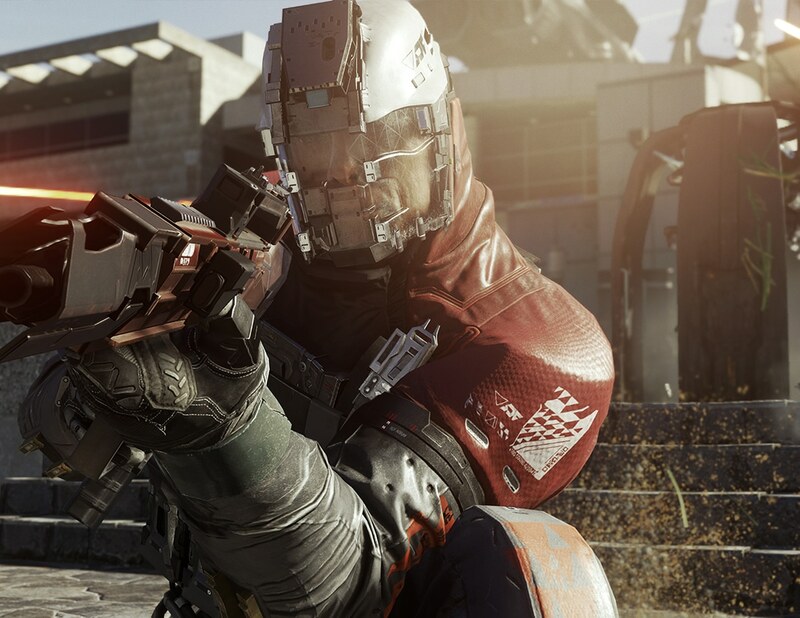 Get an overview of each version of Call of Duty: Infinite Warfare launching November 4.